Even those tough camper kids want a night light…it’s for safety, you know so they don’t trip on the way to the bathroom. I’m sure he’s totally fine with the dark. When the theme is camo….you can’t go too far. 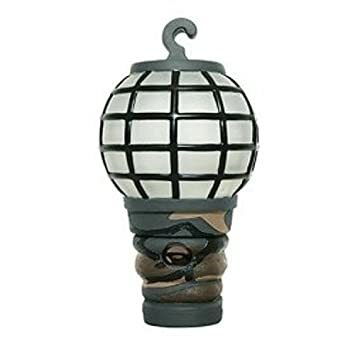 Decorative and functional, this Camo Nightlight has a resin base, a single switch and the bulb is included. Military Camouflage Night LightBuy It!